These rainbow colors can help you achieve an even, flawless complexion. 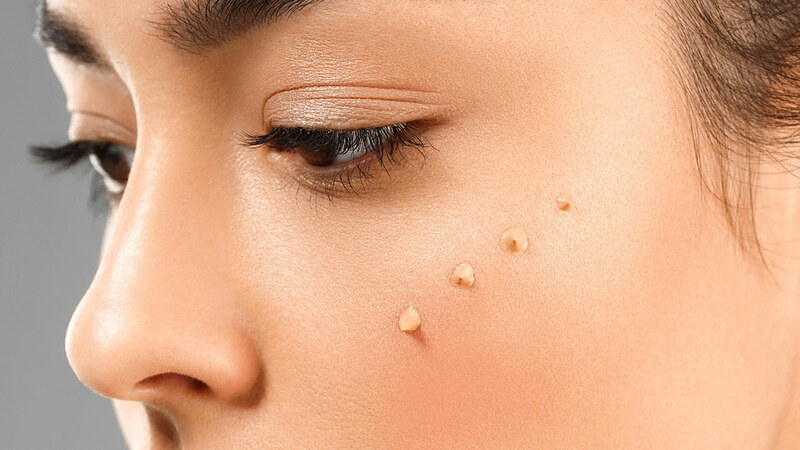 If you have acne, rosacea, dark circles, or dull skin, covering them up with layers and layers of flesh-toned concealer will still leave subtle shadows on your face. The key to evening out your complexion is with a color-corrector. It makes use of Color Theory, which aims to cancel out the discoloration of the said concerns. Color-correctors may come in yellow, peach, purple, and green. Read on to learn each shade's function. If you have purplish-blue eye bags, dab a yellow-toned concealer to cancel out the dark circles. Pinays with medium to light skin tones usually have dark circles leaning towards the green side. Peach or salmon concealers can do a great job of covering the shadows. Does your complexion look sallow? Bring back the luminous glow of your skin by using a purple or lavender makeup base. This can also tone down a foundation that's too orangey or yellowish. Hide any signs of acne, rosacea, and allergies when you apply a light layer of a green corrector. Since green is the opposite of red on the color wheel, any blemish with the slightest red tint can be neutralized.